Welcome to Precision Appliance Repair proudly serving customers in San Diego, CA and the surrounding areas for ten years. We are locally owned and operated, licensed and insured for your complete satisfaction. Our repair technicians are knowledgeable, experienced and factory trained to perform warranty appliance repairs on major brand appliances. Our expert repair technicians are punctual, professional and background tested. Our reputation for stellar customer service using quality parts and products precedes us. 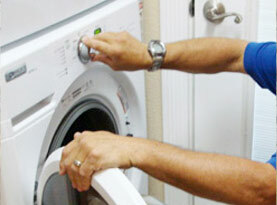 We provide full service appliance repair in San Antonio and the surrounding areas at an affordable price. 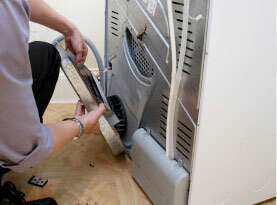 If your appliance is out of warranty – No worries! We can fix it! 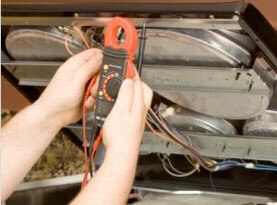 The majority of the time appliance repair is less expensive that replacement. Contact us today to learn more. 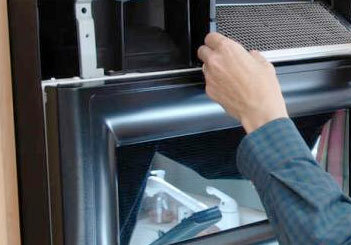 Our qualified technicians can get your kitchen appliances up and running in next to no time. Whether you have a love of cooking or just appreciate life’s little luxuries, you know that your appliances play a major role in your kitchen. At Precision Appliance Repair we understand that your kitchen is the room where you spend a great deal of your family time. When your kitchen appliances are malfunctioning or you are experiencing subpar performance, contact the professionals at Precision Appliance Repair to take care of the problem for you. •	Freezers: are used on a daily basis, and you rely on them to operate properly to keep your food fresh and free of bacteria. Whether you are experiencing inconsistent temperatures or a damaged door seal, our knowledgeable service technicians can handle these issues and more, quickly and efficiently. •	Dishwashers: if your dishes are dirty or cloudy after a dish cycle, dishwasher repair is recommended. Our trained repair technicians can take care of ineffective wash cycles and annoying leaks. •	Ovens, Stove tops & Ranges: Some of the more common issues with these appliances include malfunctioning burners, insufficient heat and a broken or damaged self-clean cycle. •	Microwave Ovens: Some microwave issues include a damaged turntable or sparks inside the microwave. Our expert repair technicians can repair these issues along with many more. 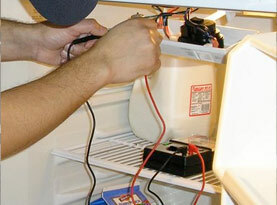 Don’t see the kitchen appliance repair that you are looking for? Contact us today and speak with a customer service professional to see whether it is an item that our technicians can repair or service. Having a fully stocked laundry room certainly makes life a lot easier and is definitely a convenience within your home. It’s easy to take these appliances for granted and we often neglect the upkeep that is necessary to keep them running at top-notch performance levels. At Precision Appliance Repair, we have been helping homeowners in San Diego, CA and the surrounding areas keep their laundry room appliances performing efficiently for over ten years. Our repair technicians can assess problems and provide repair options to keep your laundry room fully operational each and every day of the year.